and willow branches” With the help of Lauren Lekai at Adgenio we are now able to share some of these testimonials as well as many of our bronze and stainless steel custom hardware products with you in a short and easy to watch video. Check it out on our facebook page or you can watch it by clicking here. 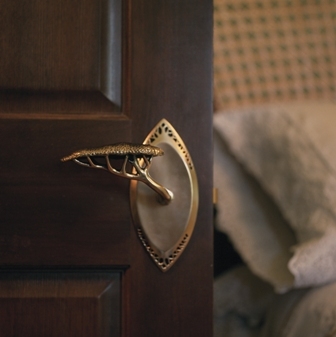 The video makes it possible for you to view and share with your clients some of our most popular door knobs, drawer pulls and entry way levers in use. This includes shots of our very first collection, Hedgerow, as well as our newest Ergo extended door handle in stainless steel. Please let us know what you think of our foray into the video world and, as always, you can view these and all of our products by visiting our site at http://www.martinpierce.com. We look forward to hearing from you. This entry was posted in Uncategorized and tagged bronze door hardware, bronze hardware, custom hardware, mountain living, mountain living magazine, stainless door hardware, stainless hardware, stainless steel door hardware. Bookmark the permalink.